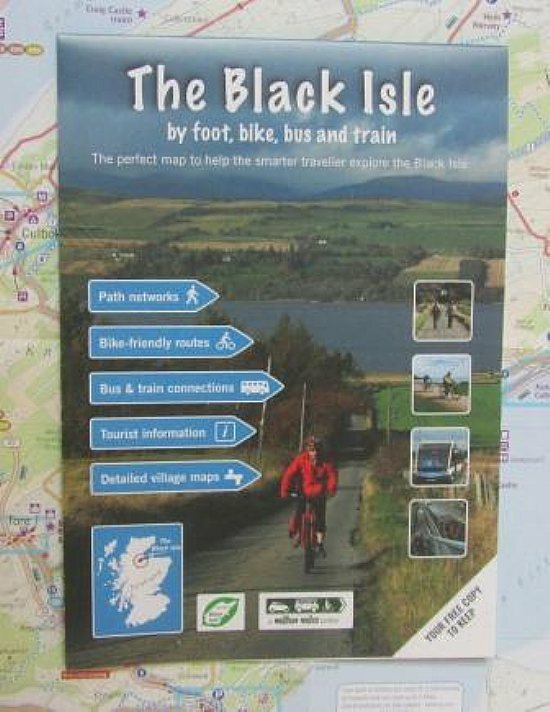 An updated edition of the fantastic green travel map of the Black Isle originally produced by Helen Stirling for the Million Miles project is now available from shops and tourist outlets all over the Black Isle for just 30p. • Nine detailed inset maps covering all of the major settlements on the Black Isle. You can view the main map and village plans online, and zoom in and move around to see the details. Unfortunately, owing to timetable and route changes since the map was published, bus route numbers on the map are now incorrect.